Doctors have warned about the risks of being overweight for decades, but a new study has revealed that a few extra pounds may be beneficial to those with type-2 diabetes. It found that patients who are overweight, but not obese, outlive slimmer ones. It's yet another example of the “obesity paradox,” the notion that a higher Body Mass Index (BMI) may protect against certain chronic diseases – including renal failure, heart failure, diabetes and coronary heart disease. The study, led by Drs. Stephen Atkin and Pierluigi Costanzo of Britain's University of Hull, followed 10,568 patients with type-2 diabetes, who were free of heart disease, for an average of nearly 11 years. The research was published in the journal Annals of Internal Medicine on Monday. 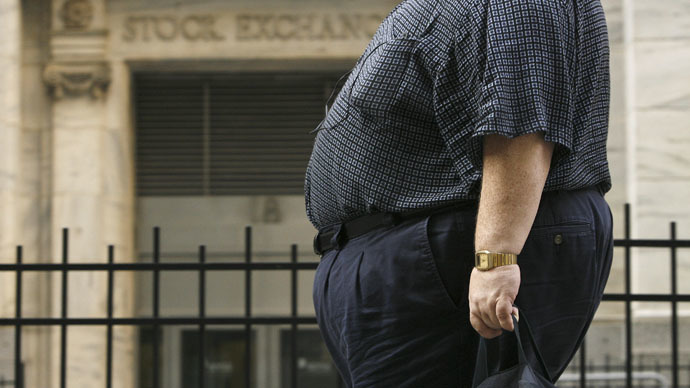 The findings showed that overweight patients were more likely to stay alive than normal weight diabetics. They had the best survival rate during the study, as they were 13 percent less likely to die than normal-weight or obese patients. However, both overweight and obese patients were found to have an increased risk of heart attacks and strokes. Underweight diabetics had the highest risk of dying during the study, with a mortality rate nearly three times that of normal-weight patients. While the findings contradict the general belief that “thin equals healthy,” Costanzo says there could be several reasons why overweight individuals were shown to have an advantage. Overweight v. obese: What's the difference? According to the Body Mass Index (BMI) scale, overweight is defined as a BMI of 25 to 29.9. Those with a BMI of 30.0 or higher are considered obese, and 40 or more is considered morbidly obese. BMI is a measure of body fat based on height and weight. Firstly, extra pounds may protect overweight patients against frailty and osteoporosis, which can kill. Meanwhile, type-2 diabetes resulting from obesity may be fundamentally different from diabetes that develops for other reasons. Obese patients may also be more likely to be checked for the disease – leading to an earlier diagnosis and improved survival compared to those who are underweight. Underweight patients with type-2 diabetes may have higher tobacco and alcohol consumption, contributing both to the development of diabetes and a lower BMI, Costanzo said. Slimmer patients may also suffer from a more serious form of the disease. "It's likely those diabetic patients with normal weight have a more aggressive form of type-2 diabetes compared to those who are overweight and obese," Costanzo added. But those with type-2 diabetes shouldn't rush to fatten up, according to the researchers. The study only showed an association between extra weight and longer survival, rather than a cause-and-effect link. "These results are exploratory and hypothesis-generating," said Costanzo. “Living a healthy lifestyle aiming to achieve weight loss should be always pursued as already indicated by guidelines." The study contradicts a 2014 study in the New England Journal of Medicine, which found no survival advantage associated with extra pounds. However, that study used the upper end of normal weight as the comparison. If it had used the full BMI range of normal-weight – 18.5 to 24.9 – “it's likely” the results “would have been similar to ours,” Costanzo said.